Take The Lead offers riding lessons year round at our location, in both Western and English disciplines (western pleasure and hunter under saddle, ranch pleasure, equitation and horsemanship, showmanship, trail riding, contesting, western dressage, and beginner hunter). Our lessons are specialized towards adults who are getting into riding after some time away, those who have horses but need a little extra help, or anyone who wishes to fulfill their dream of learning to ride. Lessons are also available to 4-H members ages 6 and up, and those with an interest in showing. 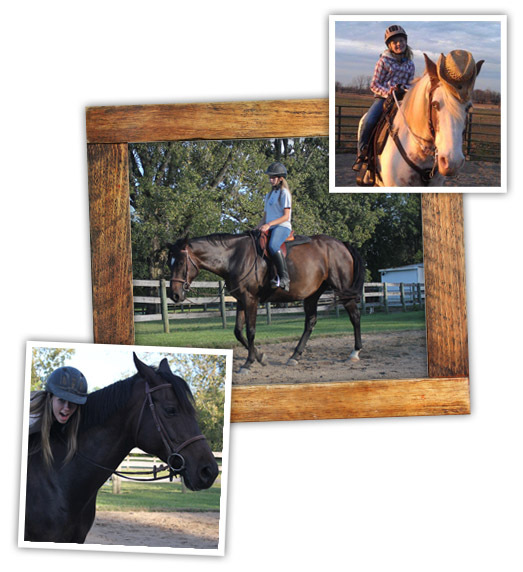 While always striving to maintain utmost safety, our main goals of riding lessons are to assist with development of a positive and meaningful relationship between horse and rider, teach correct horsemanship and of course to have fun! Contact us for more details and to reserve your lesson time!